Questions & Answers - The Maid Authority - Quality Cleaning You Can Trust. You can make a booking on the web or call 888-315-5934 24/7. We'll collect a few personal details (like your name and phone number), your address (so your professional is able to find your home), and your payment information (because cash is so stone age). After that, we'll send a confirmation email with your upcoming service date. To get a quote, simply start making a booking. Once we know some details about your home’s needs, we'll show you the estimated service time package and price. Keep in mind that bookings carry a two-hour minimum. 2. Pick the type of service and time you want to schedule. 4. If you have a Coupon (Groupon, Amazon, LivingSocial) Deal voucher and your voucher will redeem. 5. Make sure your entry instructions are correct, so your pros know how to gain access and get started promptly. 6. Leave instructions to your professional about which rooms are most important to you and any specific needs for your home. Whether you're home during your booking is up to you! When you make a booking, you'll be prompted to give your professional entry instructions. If you have a doorman or can hide a key somewhere, there's no need for you to be home. We recommend our Safe Secure Lockbox Solution or Amazon Key Or feel free to stick around during the booking. Whatever you're most comfortable with is fine. In any case, please don't forget about your bookings. We'll remind you with an email, a text message, but if your pro can't get in the door by following your entry instructions, or if you aren't home when you said you would be, you'll be charged a cancelation fee for missing your appointment and will be prompted for a reschedule. How does the booking platform work? Get everything done with just your thumbs. You are using the leading service platform for connecting individuals looking for household services with top-quality, pre-screened independent service professionals. We instantly match thousands of customers every week with top-rated professionals. With a seamless 1-minute booking process, secure payment, and our Happiness Guarantee, Our secure and reliable booking site is the easiest, most convenient way to book home services. Are you ready to change how you get things accomplished around the house? 2. Enter your zip code, we like to double-check to make sure we're available in your area. 3. Select the service you want to book. Pick a date that works for you. 4. We'll take payment electronically, with our secure 128-bit encrypted payment processor and confirm your booking instantly. 5. 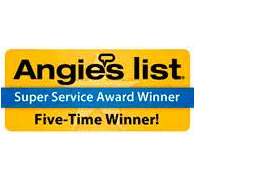 We will send you a courtesy reminder the day prior to your service with your service pros arrival window. At time of booking please indicate if you would like to receive service A.M Morning Service, Mid-Day Service, P.M. Late Afternoon Service or NO Preference. 6. On the big day, a background-checked and highly-rated professional(s) will arrive at your home ready to get the job done right. We make it that easy. We'll see you soon. Our Service Booking platform is made to be flexible, but we have some guidelines. Our policies are designed to promote a reliable, consistent experience for customers and service professionals alike. While we understand one’s, schedule can change quickly, rescheduling or skipping a booking with short notice causes professionals to lose valuable work and personal income. Therefore, last minute cancelation fees apply when bookings are cancelled or rescheduled less than 24hrs. (See Cancelation Policy). Never miss an appointment again with an easy and secure lock box solution. Your access code is secure and change it whenever you like. What is your service Guarantee? We strive to match you with the right pros and your home every time. If you’re not satisfied with the quality of the service of one of your pros, let us know and we’ll work to make it right. Additionally, in the rare event of damage, we have your back. Every booking made through the platform or over the phone is insured. • The service was completed within the past 72 hours. For recurring services, each appointment is treated as a separate occurrence. *In the event of damage or a missing item, we will require documentation to prove value, ownership and damage in order to file claim. If you'd like a 1 man hour redo (touch-up) service please contact within 48 hours from service completion, please include this request along with your availability. (Please fill out our Quality Assurance Report after each service). Tell me about your safety, trust & support? We know that none of this works without putting trust, safety, and security at the forefront of every move we make. The professionals using our platform are background-checked by a third party and rated by other customers using the Quality Assurance Report and Review provided after every service. Our customer experience team is always ready to respond, and we aim to address urgent issues ASAP. Trust, safety, and security are paramount concerns here, every booking through the platform is insured if in the event anything goes wrong. If something is awry, please don't hesitate to reach out to our customer service team. How are customers matched with service pros? Can I Adjust my cleaning plan frequency? Of course, that’s the beauty of working with us. You can easily adjust your service schedule and how often your professional cleans your home? Adjust and increase during the holidays or decrease frequency during summer months when the family is taking vacations. We make it convenient and easy on you to adjust your service schedule and frequency. How do I adjust my booking service hours needed at my home? Does your pro(s) require more time than expected to complete your booking? If that's the case, and you approve, just let us know. Our customer service team will be able to adjust the hours needed for you. If you want to adjust the amount of booking hours for future recurring service, you can do so by sending us a message referencing your name and address so we can adjust your service time accordingly. We only charge you for the service time utilized by your pro(s). Please note quality workmanship cleaning really does equate to the appropriate amount of service time elected. The recommended service time general guidelines are geared towards normal standard service. If your home requires a deeper cleaning, move service or has more challenges; please add additional service time to your base service time cleaning package. Please note that our bookings are subject to a two-hour minimum. What happens if I receive an unsatisfactory poor service? We are sorry to hear that your home professionals did not live up to your expectations. Your happiness is our goal. That's why we have our Happiness Guarantee. If you’re not happy, we’ll work to make it right. We set very high standards, and all of the pro’s on our platform are meant to provide quality service great service. Please be sure to rate your service experience, so that our system won't match you with them again. If you'd like, please send Quality Assurance Report to our customer service team to explain the concerned issue in detail. If you'd like up to a 1 man hour redo (touch-up) service, please contact within 48 hours from service completion, please include this request along with your availability. (Please fill out our Quality Assurance Report after each service and report what your concerned poor serviced areas in your home). What is “service man hour” definition of service time purchased? Let me help you understand what are "man hours" or to be proper let's call it "service hours". Below you will see a break down of service time, please note all additional specialty services such as “ Interior Fridge Detail” will add additional service time to your base man hour package. Take for example 3 man hour option- 1 person for 3 hours or 3 people for 1 hour or 2 people 90 minutes – Same 3 man hours. With pro teams you may experience less fatigue with more eye's looking for areas to clean in your home. Pro teams can be really efficient so you do not have to use up all of your day or when turn around time is of the essense. Please do know service time needed depends on the level of cleanliness of the home, clutter, pets and more. If your home is in poor condition then we recommend electing more time than the base standard service estimator, especially if it’s a home is a prep or Move-In/Out cleaning. The service pro(s) once in your home will clock in (geo tagged). Once your service time has been reached the service pro(s) will come to a completion. If the service pro(s) cannot wrap up within approx. 10 minutes over the amount of purchased time then you will receive a contact message from support requesting additional service time and amount needed to compete the job. We will always ask for your approval before adding additional service time and additional fee. What are the hours of operations and service time? We know you're extremely busy, so the hours available on the platform are as open as possible. Professionals can arrive as early at 8 a.m. and finish as late as 8 p.m. Depending on the size of the job and pros availability in your area may determine start time and availability. Our customer service representatives are available 24/7/365 to assist you. Should I tip or provide gratuity to my pro(s)? Tipping is always optional. If you’d like to leave a tip for a job well done, you can seamlessly add an amount of your choosing after rating your professional or you can leave Cash (recommend placing in envelope addressed (Thank You Maid Professional). If you want to add a tip to your past bookings, you can do that too. Just visit our Gratuity page. The amount is always at your discretion, but we recommend $5 to $20 or similar percentage you would provide to your wait staff at your favorite restaurant. The tip is paid directly to the pro(s). How do I become one of your service pros? Start earning money and setting your own hours by using our platform to run your own business? Get the process started by applying online. We offer several different business models including Independent contract pros, private brand licensing and multi-level franchise offerings. Please inquire for more details. Franchise / Investor Opportunities. Don’t worry, we love be pet friendly with the use of use Eco-friendly cleaning solutions that are safe around you and your furry loved ones. It's good practice to let your professional know in advance, because unfortunately, some people may have allergies or a fear of loud barking dogs. Why was my service appointment rescheduled? We're so sorry you were rescheduled on. Though we strive for always having availability, occasionally there aren't enough professionals available at a given day to fulfill your booking request. If this happens we really apologize but we will reschedule for another time when a professional and you will be available. If the rescheduled time doesn't work for you, feel free to skip, reschedule, or cancel this booking, free of charge. How do I cancel my cleaning plan? If you'd like to cancel or skip an individual booking you can easily do that. If you're looking to cancel your full cleaning recurring plan there are a few things we'd like you to consider. We have hundreds of other service professionals on our platform. Let us help you find the right one to meet your needs. Once we have found the right pro for you, you can easily have them service you time and time again to clean your home just the way you like it. • Looking to change how often your cleanings occur? It’s easy to change the frequency of your cleanings by clicking here. • Don’t forget, with our service guarantee you are always covered. We stand behind the service our professionals deliver and every booking is insured. • Enjoy peace of mind by tracking your pro and the amount of utilized service time your pro provided through the platform. Everyone here is focused on providing the best service possible. But if you’re really ready to leave us, here’s how to do it: Please send message via email or contact page subject line “Cancel Recurring Service” If you would like, please tell us why and when you would like you last service appointment to be and full contact information. How do I reschedule or adjust my cleaning appointment? If it is necessary to cancel your scheduled cleaning appointment we make it easy. We prefere you provide us atleast 2 business days notice before your scheduled appointment. This will allow us to reassign the pro(s) to another customer. We really do understand emergencies and time shifting needs. We are available for you 24/7/365 We are always here for you! How do I change my email, phone, or address? If you need to change your address, you can edit it from a specific booking or set it when you make your first booking or move to a new location. You can also send us your request through our contact page.